And just as we had settled again into our seats, we were back on our feet in excitement: the NEC ProgrammableFlow PF6800 Controller had won the Grand Prize—the best of the Best of Interop! According to lead judge Stephen Hill, “the ProgrammableFlow Controller PF6800 from NEC delivered the innovation, insight, and advanced thinking expected of a Best of Interop Grand Prize winner. 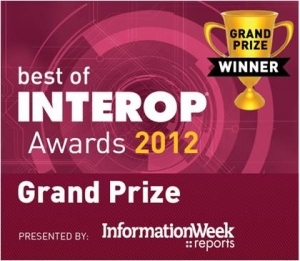 ” Read his thoughts in Information Week’s Best of Interop 2012: Award Winners. More details can be found in the press release appearing on the NEC Corporation of America website. We have been working in the OpenFlow arena since the founding of the Clean Slate Lab in 2007 at Stanford University. Atsushi Iwata, who leads the NEC R&D effort for ProgrammableFlow, understood the promise and the vision, and wrote a proposal that resulted in NEC providing funding for those very first efforts-along with Deutsche Telecom and Stanford itself. Atsushi spent three years at the University working alongside the brilliant engineers and faculty at Clean Slate who developed the initial OpenFlow protocol. 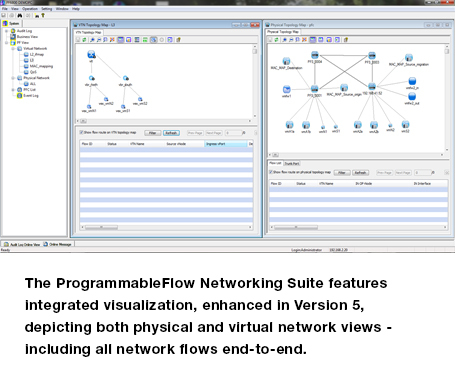 Then, taking his knowledge back to NEC, Atsushi and his dedicated team have leveraged the protocol to develop the first OpenFlow fabric, providing complete network virtualization: ProgrammableFlow. You may remember, we also won 2011 Best of Interop award in the Infrastructure category with the ProgrammableFlow 1/10 GbE switch. At last year’s show we were the first to announce delivery of a Generally Available OpenFlow product family. At the time, OpenFlow and Software Defined Networking (SDN) were an enigma to most network architects and IT managers. Now the industry is awakening to the promise of SDN and NEC is proud to be in the forefront of this revolutionary movement. Congratulations go out to the ProgrammableFlow team – on both sides of the Pacific! 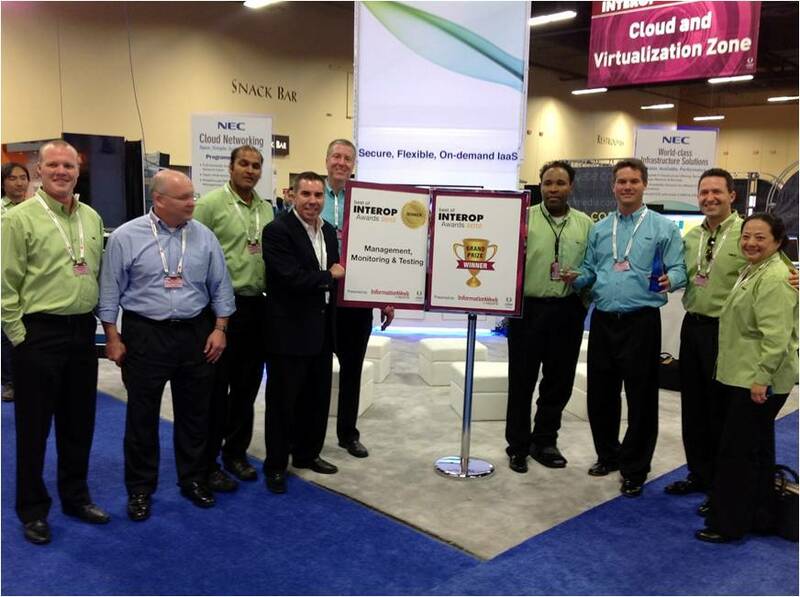 Here are a few of our members celebrating the award this afternoon at Interop.